In it, Vincent van Gogh tells his own life story, and rather than focusing on the art, it focuses on his love of God, of art, of life, and his thoughts about death and family. Bob's family moved to Virginia Beach from New York in 1975. At 14, he wandered up to a radio broadcast for a new Radio Shack opening near his home, and the DJ for FM 99 asked him a few questions about what it was like to move from New York to Virgina. That DJ was Neal Steele! Bob Kunzinger is a writer and professor who lives near Deltaville in Middlesex County. His non-fiction essays have appeared in many publications, including the Washington Post, World War Two History Illustrated, and St Anthony Messenger. He has published eight collections of essays, and his book A Third Place: Notes from Nature, which mostly takes place around Middlesex, comes out in August. Several of his essays have been noted by Best American Essays. March-April Newsletter is online now! Read how Cowboy Found His Forever Home on page 13 and listen to Neal Steele interview on the podcast page. on "Aha! Moments: Inspiration through Haiku"
Chesapeake Bay Writers and Yorktown Library presented Sally Stiles: “Aha! Moments: Inspiration through Haiku,” at the Yorktown Library on April 2nd. It was a great presentation! The bad weather kept attendance down, but we'll look into setting up another date for this program. 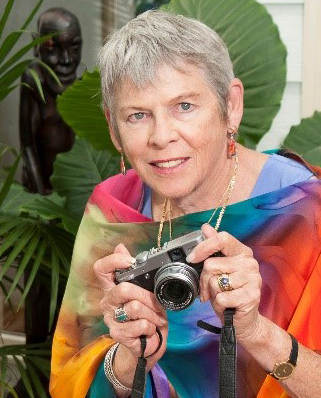 Sally Stiles has called four continents, six countries, eight states and one small trawler home. She holds an MFA from Vermont College of Fine Arts and has taught and published poetry, fiction and non-fiction, including hundreds of magazine articles. She worked in New York City as an editor and advertising executive. Among her five published books are two volumes of haiku. Her interactive program will lead you to seek aha! moments through haiku which can enrich and add depth to your work as a writer. "The Five Bios You Need on Social Media"
Chesapeake Bay Writers will present Nate Hoffelder speaking on “The Five Bios You Need on Social Media” on April 16 at 1:00 PM at the Essex Library in Tappahannock, VA.
An author's social media bio is just as important as business card. It's the first thing people will look at after reading an author’s post on Facebook, and that makes the bio the first chance to make a good impression. Find out how to use your bio to get readers interested in you and your books. Winners to be announced in May! On Tuesday, September 18, Chesapeake Bay Writers sponsored “The Fictional Dream,” a workshop geared toward helping writers hide the narrator. Lauran Strait conducted the workshop at the Yorktown Public Library at 7 PM. Hiding the narrator, whether in a first person story or a limited third one, greatly enhances reader engagement with the characters and is something all writers should learn how to do. When the narration is limited and hidden to the extent possible, the FICTIONAL DREAM will result. In this workshop, participants will learn what the fictional dream is, about its advantages, and how to achieve it. Hurricane Florence kept some folks away, but those who attended enjoyed the evening! Lauran Strait, former writing instructor and workshop facilitator at the Adult Learning Center in Virginia Beach, is the founder and executive director of Hampton Roads Writers. She occasionally teaches writing workshops for HRW and the Muse Writers Center. She also works as a freelance book editor for a few select clients. Her print and online work appears in Dog-eared, The Gator Springs Gazette, Atomic Petals, Retrozine, The Copperfield Review, A Woman of a Certain Age, Moondance Magazine, Monkey Bicycle, Insolent Rudder, LongStoryShort, Edifice Wrecked, The Virginian Pilot, Whistling Shade Literary Review, Somewhat.org, The Green Tricycle, Reading Divas, The Angler, Salome Magazine, Quiction, Bewildering Stories, Tiny Lights—a flash in the pan, Down in the Cellar, Tuesday Shorts, Six Sentences, and HeavyGlow. Some of her other fiction and creative nonfiction appears in anthologies such as Random House’s Knitlit the Third—We Spin More Yarns,Better Non Sequitur's See You Next Tuesday, and Smith Magazine’s Six-Word Memoirs on Love & Heartbreak. "How to be a Rock Star at PR"
showed us how to stand out from the crowd and make others remember who we are through our personal brand at our June 20th dinner meeting! 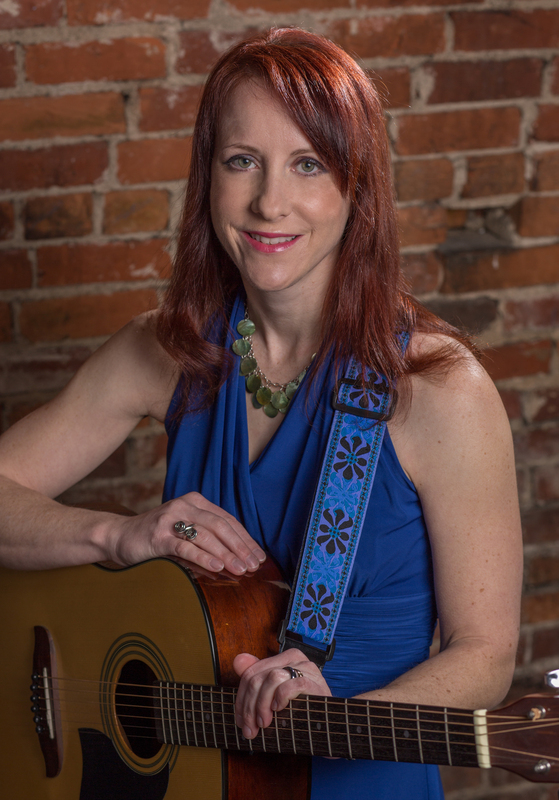 Alice started her own successful writing and editing services company over a decade ago and shared her secrets with us after playing her guitar and singing while we visited and networked before the meeting. Her workshop, showed us how to build our brand by highlighting what makes us different from the crowd through our personal story, how we show up, and how we network/volunteer our time. 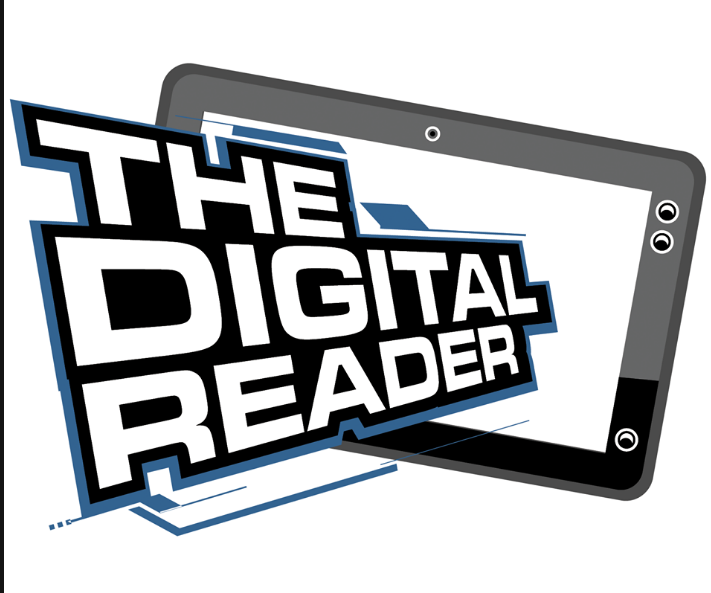 A great program where we learned how all of our printed and online materials (website, social media networking, and business cards) work together to create a powerful brand will help attract, engage, and retain new readers and fans as it builds the loyalty of our current ones. Visit Alice's website at www.aliceosborn.com and check out her music at www.reverbnation.com/aliceosborn. Xtra 99.1 FM, Monday, May 14, 8:05 a.m.
Neal Steele interviewed Carol J. Bova about her novel, Chestnut Springs, on the CBW Second Monday Radio Show on Xtra 99.1 FM WXGM, Monday May 14. 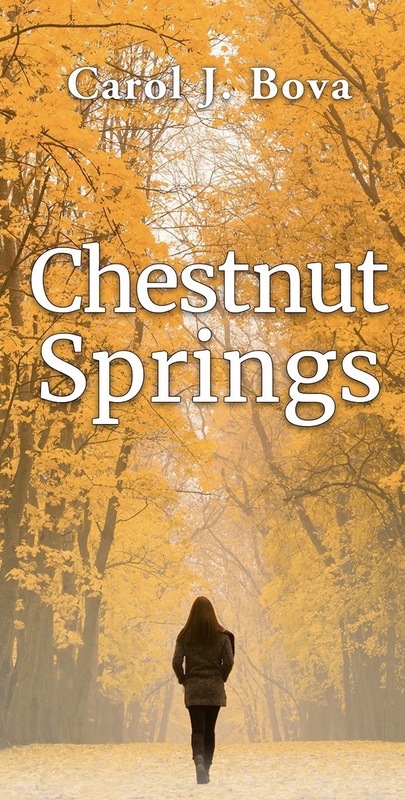 Chestnut Springs is about a business woman who loses her job at 55 and moves from Los Angeles to a modern off-the-grid cabin in West Virginia while she job hunts online. Instead of another job in a big city, she finds a place for life, love and second chances. It's an upbeat story of small town life and friendships. The interview will be posted soon on our CBW podcast page. Carol found a new lifestyle as a writer in 2004 after moving from California to Mathews. In 2014, she wrote a nonfiction book, Drowning a County. to unmask the urban myths the Virginia Department of Transportation created to explain decades of inadequate state road ditch maintenance. Carol is a columnist for Chesapeake Style magazine and a past president of the Chesapeake Bay Writers. She has three works in progress--a new novel also set in Chestnut Springs and two nonfiction books. If you love to write, it is possible to turn that skill into a fulfilling and even lucrative second career. Ann Eichenmuller will introduce you to the world of freelance magazine writing and share from her own experience the possibilities and pitfalls of getting paid for what you write. Learn about the markets available to writers, the kinds of articles magazines want, and how to research, develop, and pitch winning ideas. Become familiar with the business side of this kind of freelance writing, from contracts and invoices to payments to kill fees. No matter what your age or interest, there is an audience out there waiting to hear from you. The library is located at 117 N. Church Lane, Tappahannock, to the right off US 17N, between Tappahannock Elementary School and Queen Street (Route 360). There is no charge and non-members are welcome to attend. Ann Eichenmuller is an award-winning educator and writer and creator of Motorhome magazine’s popular “Classic Ride” series. 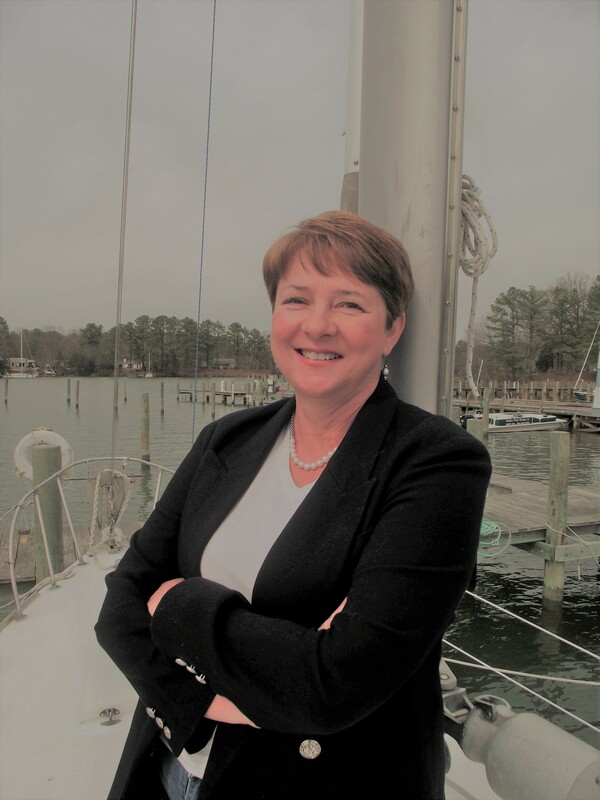 A regular contributor to Chesapeake Bay Magazine, Chesapeake Style, and the Caribbean All at Sea, her articles were recognized at the 2016 and 2017 Boating Writers International Annual Awards. She is a former recipient of the WashingtonPost Agnes Meyer Award for Excellence in Education and the author of two mystery novels, Kind Lies (2017) and The Lies We Are (June 2018). Ann has recently completed her first non-fiction book, The Writing Cure, about the healing power of writing. 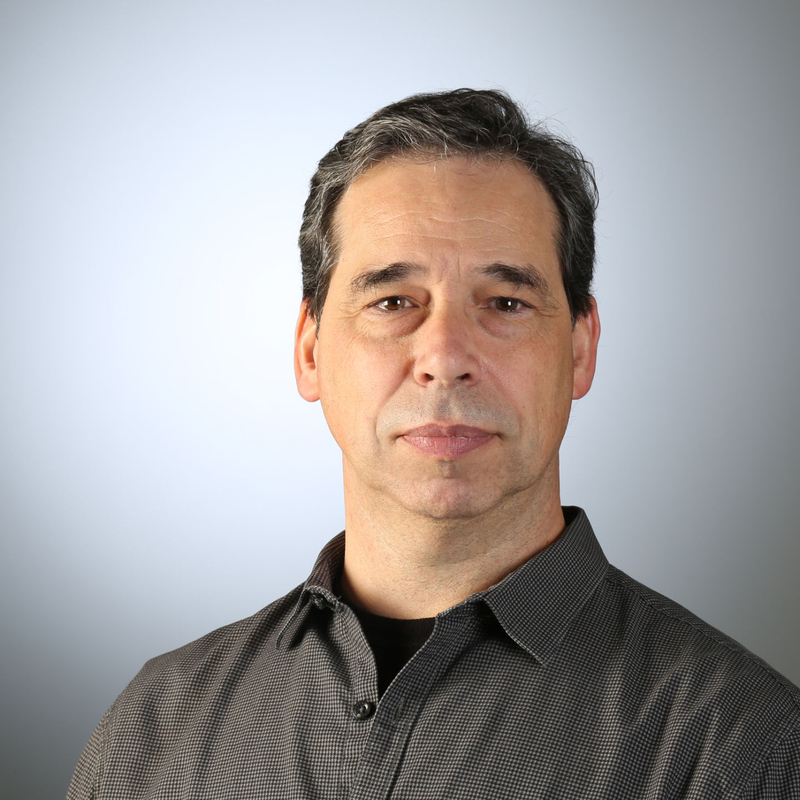 Dan is entertainment editor at The Virginian-Pilot, directing coverage of arts and entertainment and the Flavor section. In 23 years at The Pilot, he also has worked as a copy editor, copy desk chief and assistant business editor, while staying busy outside the newsroom as, at various times, a Cub Scout den leader, a youth soccer coach, a writing and editing teacher and an amateur musician trying to do right by his 1981 Gibson ES 335. Apply Now for 2018 CBW Second Monday Radio Interviews with Neal Steele! We are looking for members with recently published books to take advantage of this wonderful opportunity to be interviewed by Neal Steele on XTRA 99.1 FM. Email Tracy Lanum at tracygl@cox.net or call (804) 815-9954 to get a copy of the show guidelines and discuss scheduling an interview.